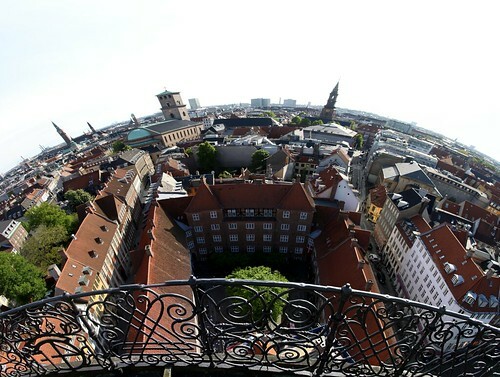 Nice Fish Eye view from the top. 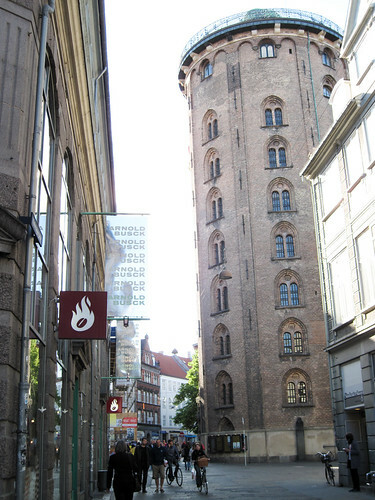 This round tower known as 'The Rundetårn' is a famous landmark in central Copenhagen, Denmark. It is the only functional astronomical observatory in Europe meant to be used by amateurs. 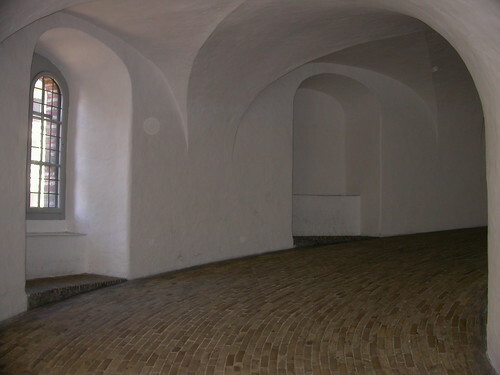 The Rundetårn was built in 1637-1642 by King Christian IV and designed by architect Hans Steenwinckel the Younger. 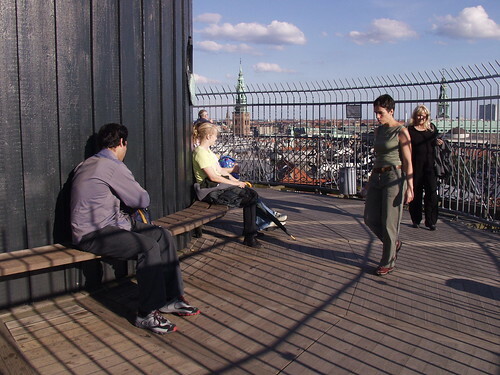 One of the most noted architectural feature of the tower is its 7.5-turn helical ramp inside the tower which leads to the top observation deck located at an height of 34.8 metres. carriages were used earlier to take royal ladies to the top. 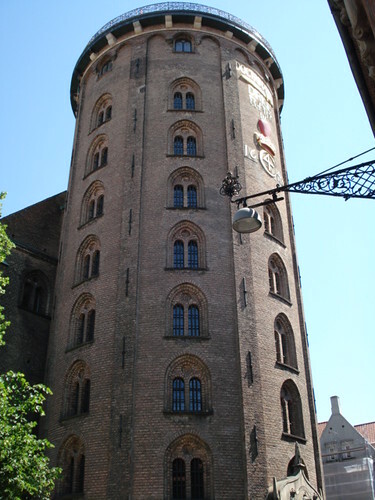 The Rundetårn now a days is used as an observation tower, a public astronomical observatory, an exhibition and a concert venue . 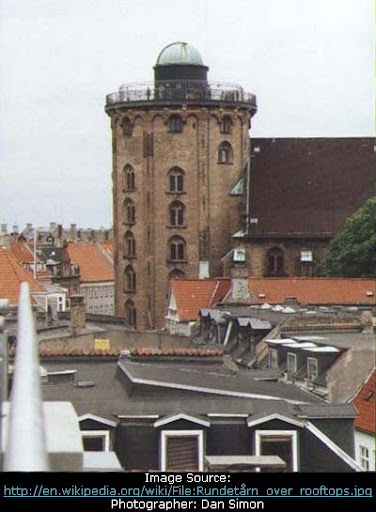 Every year during spring a unicycle race is held and the participants have to go up and down the tower on a unicycle. The world record, set in 1988, is 1 minute and 48.7 seconds. Credits: I am thankful to JohnLuke whose this post in Fun & Games Forum of Google Earth Community brought this tower to my knowledge.